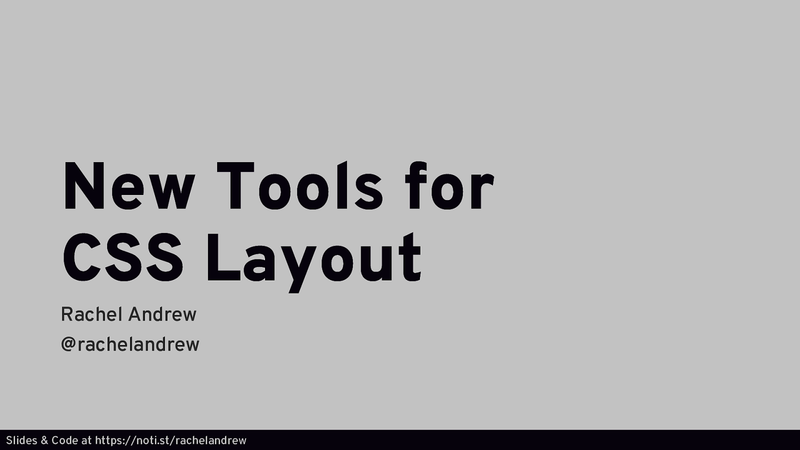 View New Tools for CSS Layout on Notist. An exploration of the advances in CSS Layout over the past few years - covering Flexbox, Grid and their relationship to Writing Modes. Lots of small CSS Grid examples plus video tutorials on the basic elements of the spec. An article for Smashing Magazine where I detail how the various components of layout fit together. What Happens When You Create A Flex Container?